Bikescape is a small specialist company and India is the country we know and love best. 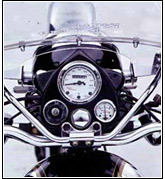 We operate fully guided and supported tours travelling on the legendary Enfield Bullet. We pride ourselves on being the experts in this area of the world and we want to share our passion as we introduce you to all the colorful and spectacular sights , sounds , excitement and vitality that is part of India's everyday life. In these three week long tours, we take in the palaces, forts, temples and wildlife reserves of ancient Rajasthan at a relaxed pace. Our South India tour crosses the continent traversing the tropical western ghats. These tours take you straight to the heart of Indian life offering a fascinating and in-depth trip leaving you with indelible memories. The sights, sounds and tastes of India are limitless and by travelling with an independent motorcycle group, your opportunities to enjoy the richness of this endlessly surprising country are immense. Perhaps you can travel independently and possibly more cheaply through India we guarantee you won't see , do or be involved in the same period of time as you will travelling with Bikescape. We take you places that will be difficult to find if you were travelling by yourself. Our experience and knowledge of India allows us to take care of all those hassles that can consume precious holiday time. This gives you the freedom to be totally involved in your motorbike adventure. We also deliberately make time available for you to make your own personal discoveries. Whether it be local culture, sightseeing or restaurant advice our tour captains will provide you with all the guidance and information necessary for you to explore independently. India is an enormous country of incredible contrasts with intense beauty and appalling tragedy often side by side. Riding as a group, we all have to look out for each other, and a team spirit forms rapidly. Friendships forged in this companionable environment often endure way beyond India. Our tour leaders are our greatest assets. They are Indians who live , breathe and love India ! They will answer your questions on the history , culture, religion, politics, daily life and explain all the weird and wonderful things you will see on your motorcycle adventure. They are there to help you change money , explain the menus, select the best beer or mineral water, guide you to the best shops and even help you bargain in necessary. There expertise , knowledge and professionalism is second to none. Recognizing the benefits of independent exploration they ensure you are well briefed on how to use all free time profitably, safely and economically. Bikescape leaders do not take commission or "Baksheesh". English speaking local guides join us for visits to forts , palaces ,museums, temples and nature reserves. We believe that travelling in a small group of like minded travellers with an expert leader is the best way to get the most out of any trip. This is why our maximum group size is twelve. It is important to remember that India is a very different part from the rest of the world.. Still emerging from the third world it can some times be unconventional, confusing or even overwhelming. Travelling with a small group has the advantage of providing safety and security while still allowing us to be flexible and spontaneous. It also means we can access places and events not possible for larger groups. Where possible we use small hotels , often family run, that are clean and comfortable with private bathroom facilities. There is some variation in standard, but as a general rule all rooms have their own toilet/shower, fan or air cooler and clean fresh bed linen. Avoiding large sophisticated hotels means we lose out in hair dryers and mini shampoo bottles but we believe you gain so much more. Some hotels are chosen for there location. They are often just a short walk away from bazaars , temples and our sightseeing activities. In other places we have chosen hotels with character and that often reflect the area you are visiting. You can spend the night in a 16th century palace, a colonial style hotel reflecting bygone days, a fort on the edge of the sea cliff with million dollar views, a town house belonging to minor royalty or a haveli (courtyard house). We also offer the opportunity to camp in the desert or to stay in a village, where the facilities are basic but the experience will far out way this by allowing you to get fully involved. India has one of the world's greatest cuisines and the choice and quality of food is wonderful. In our price we include all breakfast and left the group the flexibility to experiment with local cuisine We eat in anything from a local businessman's restaurant to the dining hall of a maharaja's palace or many of the beachside cafe's. At most restaurants we have a choice of delicious local foods, exotic curries, seafood platter's, vegetarian specialties, pilavs, breads, kebabs and awesome deserts - the list is endless .If you want some closer to home , European food or excellent Chinese is usually available. In some of the more off beat areas of our adventures the choice of food can be limited. Your tour leader is on hand to recommend the local specialties of each area. The arrival transfer and departure transfer to and from the hotel included in the price of your trip. Arrangements can be made for additional accommodation to be pre-booked at your joining hotels. A service charge per person booking is levied for this convenience. We can arrange any tour you wish in India. Please contact us for further details and information. If you are travelling alone and would like to share a room with a fellow traveller we can try to arrange a twin share match for you. If a room cannot be arranged you are required to pay the single supplement. Bikescape always tries to be involved in as much as possible , visiting festivals , fairs and religious ceremonies as well as homes and workplaces. We want to leave a positive impression and travelling in small groups minimizes the impact we have on a community. As a Bikescape traveler you need to respect the different cultural beliefs and values of the area we visit , dress and act accordingly. All our tours are fully supported by 2 tour coordinators , a skilled mechanic, and a backup vehicle following behind with luggage and spares. The well maintained 500cc Enfield Bullets are modern day classics and a joy to ride. We travel in small groups of up to 12 motorcycles and offer experienced personalized support to all our clients. You'll need a relaxed and flexible attitude to travelling and most of all, a sense of humor. Our tours are true adventures that will challenge you both physically and emotionally. Some minor delays and discomforts are inevitable when travelling in India and service can sometimes be indifferent, so if complete personal comfort and convenience are important to you, then perhaps India is not the destination for you. If, however, you come to India with an open mind, you'll enjoy the biking experience of a lifetime. Bikescape - India is a division of Ideas Cell Tours specializing in fully integrated motorcycle tours in India. From the first enquiry about your booking through to our farewell dinner in Delhi or Madras you will be assisted personally by owner operators and tour coordinators. They offer 'hands on' leadership throughout your adventure and will accompany all tours. We are often asked why we don't run more tours as we could obviously fill them. We do not wish to become an impersonal production line, hiring young, inexperienced guides and thinking of our clients as just numbers . Our energy is focused on limited tours per season and making them all exceptional and memorable events for all involved including ourselves.